Rubesco: its history is the history of the Company. 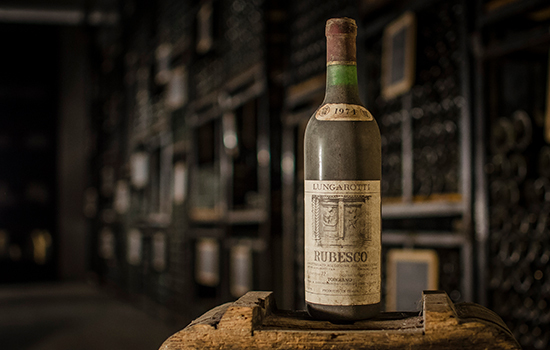 Innovative for its time – the early 1960’s – it became immediately well known: a lovely wine with clear-cut personality. Its brilliant ruby colour and characteristics are like the Umbrians, reserved but generous. It originated from a new way to grow the vine and from selected traditional varietals, no longer vinified approximately but scientifically: a creation of Giorgio’s, of which he was proud. The wine deserved a name that could represent it and be easy to remember: not a trivial or ordinary name like the varietal or place of production, but a brand. And Maria Grazia created it. This was the birth of Rubesco, from the Latin verb rubescere, to blush. 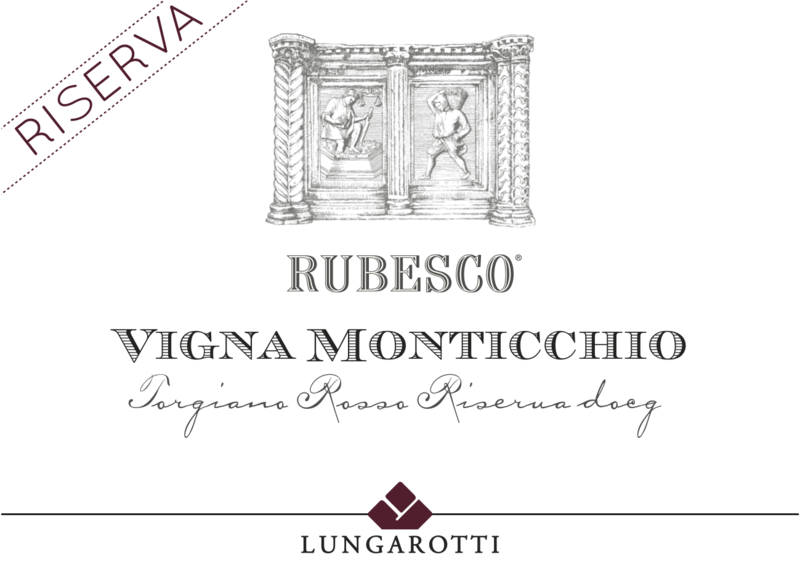 A rewarding intuition that re-launched Umbrian enology in the world with Rubesco Riserva Vigna Monticchio contributing to the new era of Italian wines. The packaging has varied over the years according to the graphic tastes of the moment but has always represented the Harvest scene from one of the bas-reliefs of the Fontana Maggiore in Perugia by Nicola and Giovanni Pisano (13th century). 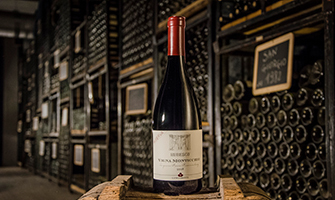 Starting with the 2005 vintage, Rubesco Riserva Vigna Monticchio’s label has presented a contemporary rendition of a historical version, re-vamped with clean and contemporary graphics. A leit-motif that goes full-circle, because this wine has all the elegance and extraordinary personality which are acknowledged by its history. 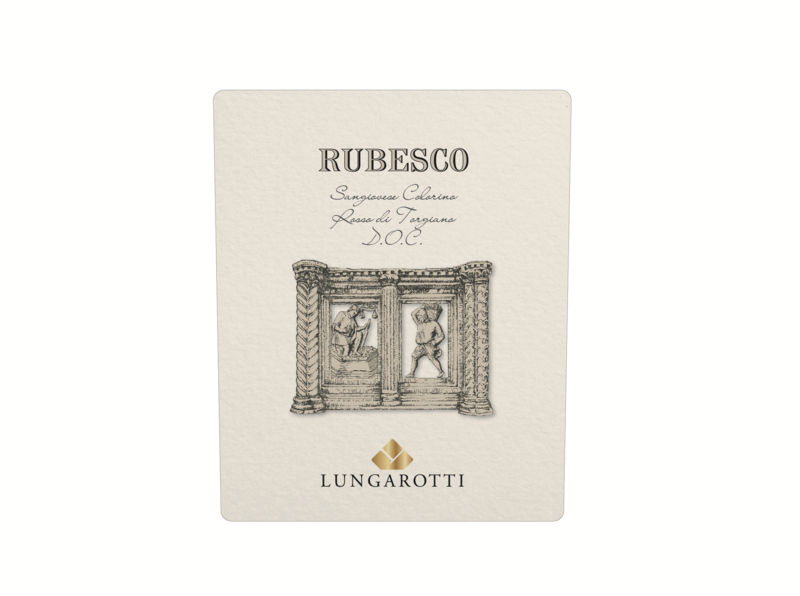 The year 2012 represented a double anniversary: half a century of Rubesco, our iconic wine created in 1962 and fifty years since the company was founded by Giorgio, whose vision brought about a far-reaching renewal for his land, transforming and strengthening his family’s farm to make his wine known in markets all over the world. A long hallway lit by cones of cool bluish light, flanked by rows of bottles lying in the aging cellar, leads to the “vault”, the company’s historical archives. 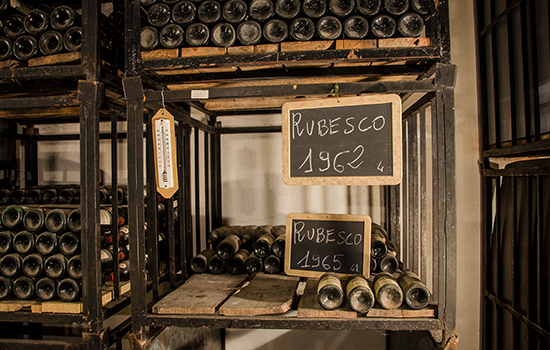 This is the winery’s pride and joy, an almost magical place where the old vintages of Rubesco’s great reserves since the early 1960’s lay resting. 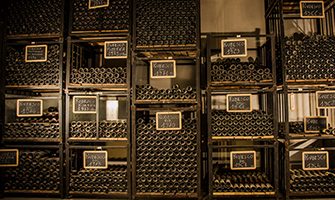 A room where the labels tell the history of the company, its wines and all the initiatives of the winery. Upon entering, it is inevitable to feel very moved. 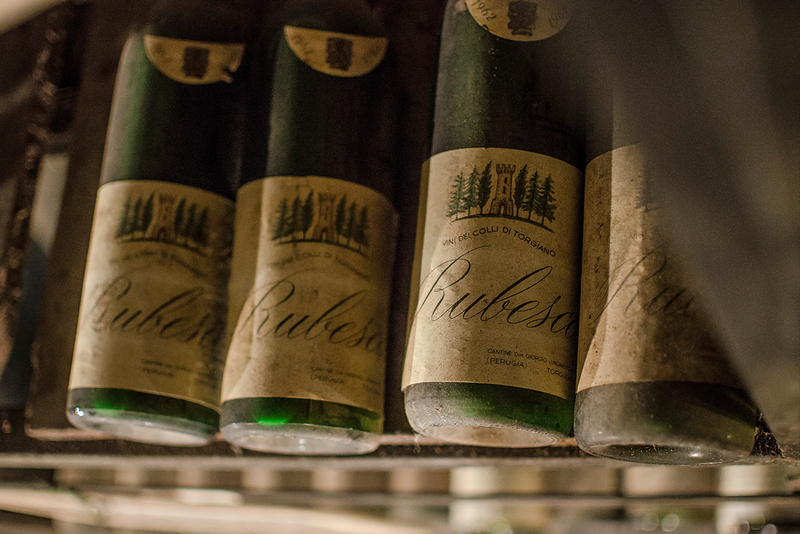 From our historical archives come important and elegant bottles steeped in history. 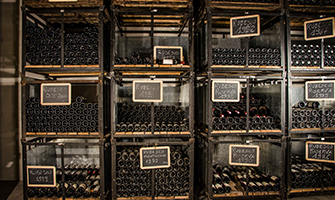 Each one is a treasure trove of memories that echo back to the year of production, whispering a tale of the wine’s evolution and of expectations always exceeded. roots and the ability of each different vintage to surprise us over time, with unique nuances and sensations.